With their holdfasts broken, kelp thalli drift on currents and tides. Many decay in the ocean, providing nutrients for fish, crustaceans, and other organisms. Many thalli, like this giant kelp, wash up on the shores of nearby beaches. 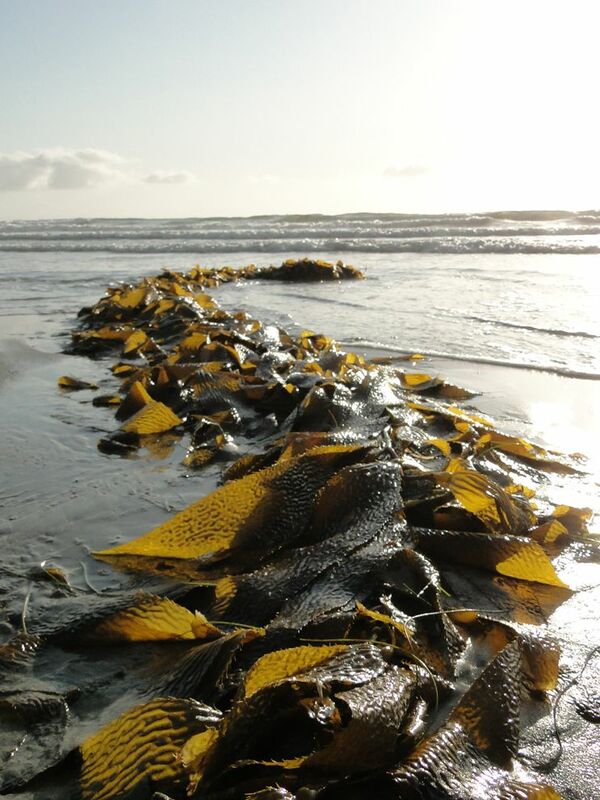 Kelp is a giant seaweed that grows in two forms along the west coast of North America—giant kelp and bull kelp.